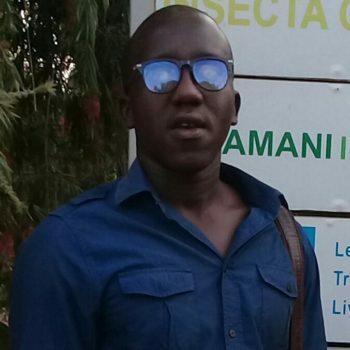 Born and raised in Dandora, an urban settlement in Nairobi famous for Hip Hop, the biggest dumpster site in Kenya and scarce opportunities for youth, Samuel is passionate about creating opportunities to generate income for his fellow youth. While Dandora doesn’t look like a million dollar investment attraction he believes that by cleaning and beautifying it the community will be able to attract investments. Having not been able to continue his education after highschool due to financial limitations he started his own business selling second hand clothes which did not require a lot of capital to start and registered it by the brand of MAVAZi WARDROBE. He also revive a carwash youth project which is improving the livelihoods of the members. Last year they were able to mobilize four youths group in their community to form a umbrella group called Wamwaris Youth Action on Development. Samuel is currently the group’s chairman. Samuel loves music and dressing people.